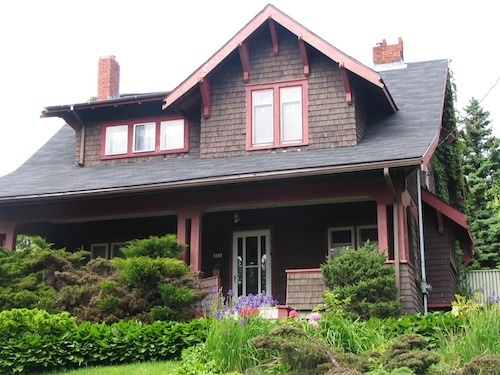 Southdale is a desirable family neighbourhood just south of Old Dartmouth. Offering great schools and playgrounds, the neighbourhood is within walking distance to the Dartmouth Ferry, the Harbourfront, and many shops and services. It is bordered by the Manor Park neighbourhood, the Circumferential Highway, Pleasant Street with the inclusion of the area below Pleasant Street to the Harbourfront (Newcastle and Hazlehurst Street) and on to Oceanview Drive and the beautiful NSCC Waterfront Campus. Many streets offer gorgeous views of the Halifax Harbour, transportation is easily accessible via bus and the Woodside and Alderney Landing Ferry Terminals. History: Although only a kilometer or two away from the downtown core of Dartmouth, in the 1850’s Southdale was considered the “country” and fine estates were built as a means of escaping the crowds. Today it is home to the Dartmouth Heritage Museum which provides a wealth of historical information and houses many artifacts. Be sure to visit their website. Parks and Recreation: There are at least thirteen parks and playgrounds in the neighbourhood. The beautiful grounds surrounding Sullivan’s Pond are home to special events and fireworks displays while Oathill and Maynard Lake parks offer playgrounds and beaches. Tennis courts, basketball hoops and ball fields are to be found near the excellent schools, making Southdale a great choice for families. Another wonderful feature is the Dartmouth Harbourfront Walking Trail from Alderney Landing to the Woodside Ferry Terminal .Check out this link for information and a map. Amenities: Restaurants, shops, corner stores, the many services available in Downtown Dartmouth, Alderney Landing, and small neighbourhood shopping malls near the Woodside Ferry Terminal are easily accessible on foot by bus or by car. Southdale residents also have easy access to The Dartmouth General Hospital and several medical clinics. Home Styles: There are pockets within Southdale where charming but relatively modest Victorian and Edwardian two story homes are to be found. Two story, story and half homes, and more modern bungalows in newer areas; duplexes, infill semi-detached homes, and larger estate type homes on Pleasant and Portland Streets add to the mix. Definitely something for everyone in this established yet still up and coming neighbourhood!